Break out the leg warmers and off-the-shoulder tops, it's time for a totally tubular tribute to some of the greatest music of the eighties at That BIG '80s Party. DJ Dave Paul plays all the hits you tried to record onto a cassette tape off the radio as well as the deep cuts you loved. Rap, New Wave, Freestyle, R&B, Rock, Pop and much more. Come by and relive the decade and if you weren't around in the '80s, come experience what you missed. Dave Paul began his music career in 1984, starting as a mobile dj and evolving into a prominent college radio dj, club dj, and remixer in San Francisco. One of his 45 minute reel-to-reel megamixes was featured on commercial radio station KMEL. During the late 80s and early 90s his weekly radio show "Beat Box Fridays" on college radio station KCSF was instrumental in breaking many hip-hop records in the Bay Area market. In the early 90s, he launched the now legendary publication, The Bomb Hip-Hop Magazine, and in 1995, Paul transformed the magazine into a record label. The company was named "one of the fifteen independent labels that matter," according to Rolling Stone, and the label's Return of the DJ series was ranked by Spin Magazine as #25 in their "The 90 Greatest Albums of the 90's" (Sept. 1999 issue), receiving a higher rating than Gold & Platinum albums by Lauryn Hill, Pearl Jam, Metallica, Green Day, and Fatboy Slim. Dave Paul has appeared on the front cover of Billboard magazine and is featured in the motion picture Scratch. 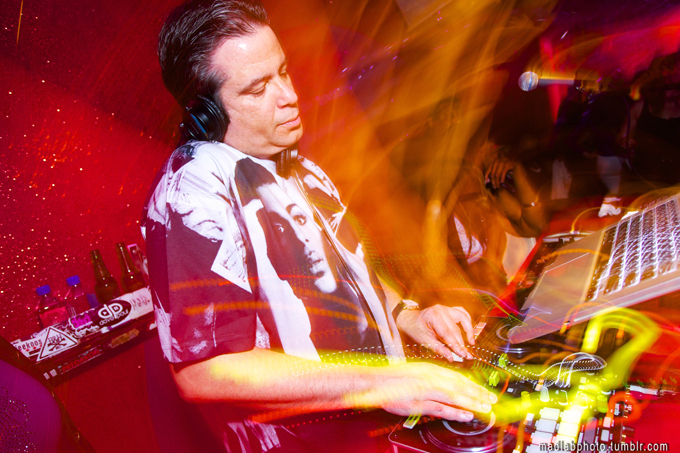 Mr. Paul has DJ'ed throughout the US, toured Europe, released over 100 projects on his record label, and currently produces theme parties, including The Prince and Michael Experience and That BIG 80s Party.